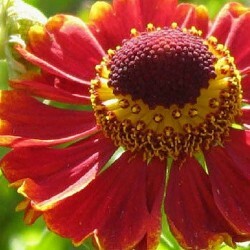 Helenium There is 1 product. North american, this robust perennial, rustic produces flowers all summer if care is taken to cut the dead flowers. Declining flowers in shades of red copper to brown heart. Easy to grow in good ground not too dry garden.